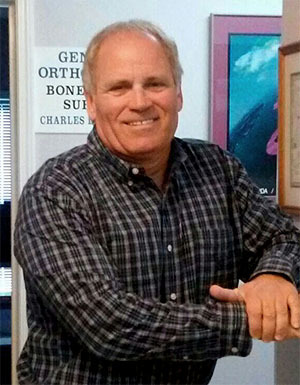 Dr. Andy Grant has treated over 13,000 patients of all ages, shapes, and sizes during the past 34 years. Whether you're seeking pain relief, improved athletic performance, or overall wellness, Dr. Grant and his staff will do their best to help! "Our goal is to provide the best care possible, with the fewest number of visits, and at the least expense". Many patients feel some pain relief after their first visit, with significant improvement after only 3-4 visits. You can also be assured that If Dr. Grant thinks your condition should be treated by another health care provider, he will recommend the appropriate specialist. We thank you for visiting our website and encourage you to spend some time viewing some of the nearly 100 short videos provided. We hope that by doing so, you will become better informed as to what Chiropractic care has to offer. All you need to do is scroll down the list, and click on a title that interests you. Chiropractic care has been proven to be the safest, most effective, and least expensive type of lower back pain treatment according to numerous studies published in scientific journals. Call our office at (828) 652-7746 for an appointment today!